In cases where a person hasn’t managed to stay sober despite going to rehab, the reason might not involve the program itself. The location of the facility plays a key role. Sometimes the local environment surrounding the recovering addict during and after rehab is not conducive to long-term healing. Traveling to attend a rehab in a city far away or even another state (or country) could be a solution. There are treatment centers across the United States, each with unique therapies, living environments, and types of services. Millions of people across the US go into a drug rehab program every year. Data of the National Survey on Drug Use and Health show that of the 23 million people who suffer from addiction to drugs or alcohol, just one in ten gets treatment at a rehab center. 12% of them achieve better outcomes when the therapy is located in another state. Moreover, detox treatments of out-of-state patients are more effective. Unfortunately, not all insurance providers will cover treatment away from home. A lot of companies offer a wide variety of treatment options, including local drug rehabs. No matter how one will pay for rehab — cash, insurance, or another way — the most important consideration is finding the center that fits their needs. Sometimes, traveling to another city or state is the best way to get and stay sober, as some regions may not have high-quality rehab programs available. This may be the case in sparsely populated areas. People who are willing to travel for rehab can choose from tens of thousands of centers across the country. Traveling for treatment also helps develop the mentality of taking a journey toward recovery, giving one a fresh start in a new place. Many addicts find putting a distance between themselves and local temptations helps reduce cravings and avoid relapse. A physical distance can reinforce their resolve to achieve full recovery. Rehab is voluntary in most cases, so people can leave the center at any time. Being far away from home limits some of the temptation to give the program up, increasing the person’s chance of attaining a successful outcome. Some recovering addicts are concerned about the professional and personal ramifications of addiction treatment. They worry about being judged or ostracized or even facing professional issues if someone finds out they went to rehab. Privacy is crucial when it comes to addiction treatment. This is why traveling to a different city or state will make it less likely to be recognized while in rehab. Regardless of one’s specific addiction, the purpose of rehab is to start over. That is easier said than done, of course, but the process of healing can be much more challenging when the person is exposed to the same environment, in which they abused alcohol and/or drugs. Thus, the most important reasons for travelling to rehab could be psychological. Some people find they are more inspired to work toward recovery in a new location. In fact, quite a few recovering addicts choose to travel abroad for rehab. Prestigious international rehabs, such as Bali Recovery, send staff to pick their clients up at the airport. In most cases, the personal recovery coach is the first person from the center the client meets. They can talk to this person over the phone or Skype before leaving for Bali. This is a practical approach to help reduce apprehension. The most important items one needs when travelling include medical and travel insurance, a credit or reloadable debit card in case the stay needs to be extended, a driver’s license, passport or photo ID, and a list of any prescription drugs being taken at the moment with the respective dosages. It is recommended to bring at least a 10 days’ supply to make sure no medication is missed during the transition. When the person travels to another city, state, or country for rehab, his or her medications are provided via a local pharmacy at an extra cost. Advanced directives need to be provided to the staff. Keep in mind there may not be any ATMs in the area. The names, addresses, and phone numbers of the primary physician and other health care professionals, family members, referrers, and anyone else the patient would like to involve in their treatment must be available to the staff at the center. Necessary cosmetic products – shampoo, conditioner, body lotion, soap, sunscreen, etc. All of these items must be alcohol-free. An alarm clock (without radio), hairbrush and hairdryer. Some rehab facilities will allow their clients to bring headset radios, iPods, MP3 players, and CD players without speakers as long as the devices do not have access to the Internet. In some cases, it is also possible to bring a camera, but one must agree to observe the other patients’ privacy. Upon intake, the staff at the rehab facility may take patients’ cell phones. At any rate, cell phone use on the premises of most treatment centers is prohibited. Still, one needs to have a phone with them while traveling to and from the facility. The reason phone use isn’t allowed onsite is because of the risk of accessing the Internet to get drugs or alcohol into rehab, which staff aren’t willing to take. Depending on the individual, there can be certain disadvantages of getting treatment far away from home. People who are very dependent on their families for emotional support will find traveling does more harm than good. It can be hard for loved ones to visit or participate in treatment. It will also be more challenging for the therapists to set up an aftercare plan for the individual in his or her hometown, as they are located in another city or state. The other patients will be from different cities or states, so there won’t be a local support system to facilitate long-term recovery. It is beneficial to involve family or loved ones in the more advanced stages of recovery, which won’t be possible if they are far away. Skype calls can’t replace seeing family members in person. Lack of insurance coverage is another disadvantage of going to rehab away from home. Some insurance providers will only cover a limited number of addiction treatment options. Most people will go for a rehab option that’s covered by insurance when faced with the prospect of paying for almost everything out of pocket. However, insurance companies don’t cover only in-state rehab – this is a common misconception. Some providers will cover a stay at an out-of-state facility. Call the insurance company in advance when in doubt. The main benefits of getting treatment at a local rehab center are saving money and staying close to loved ones. Travelling to rehab means the cost of plane tickets and hotel stays will factor into the budget for treatment. A rehab closer to home may be a more financially viable option. There is no denying that the support of family is very important during and after rehab. Going to a local facility will allow loved ones to be actively involved in the treatment process. What is more, the rehab’s administration will find it easy to create an aftercare plan for local clients, being familiar with the area and the resources it has available. Unfortunately, there are some downsides to local rehab centers. An obvious one is that it is much harder to stay drug-free after completing treatment. This is because of a number of negative influences, such as drug dealers, one or more addicted friends and family members, and drug suppliers. One is likely to run into some or all of them after their stay in rehab, even if they are careful. Simply experiencing a feeling, taste, or smell, or being in a place that the brain links with drug or alcohol use may increase the risk of a relapse. While it might not always be possible to control whether one has any of these experiences, the risk is always more limited if one chooses to go to rehab away from their hometown. 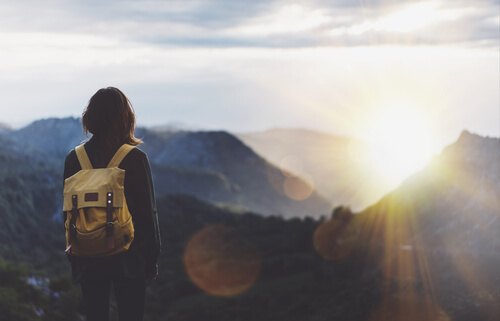 If a person who has made the decision to stop using drugs is looking for a change of pace and location to kick the habit, travelling is a very practical option. There are many scenic, private rehab facilities across the country, which can help one start over. A large number of them offer luxurious amenities and modern, science-based programs, which provide the support and tools one needs to achieve lasting recovery. Admittedly, no two people are alike, and everyone has different requirements when it comes to addiction rehab and treatment. An individual needs to be aware of his or her personal preferences – if this is not the case, it’s hard to know what the right option is, much less whether it is a local rehab or not. Those contemplating traveling for treatment would benefit from considering the factors listed here before making a final choice.